To set Mailing List Studio and start sending out emails with this software, you need first of all to configure your SMTP settings. That is, to tell Mailing List Studio which outgoing server it must rely on. Name: your name as sender. Email: the email address that will be taken as sender. Uses a server SMTP for the send messages: flag it. Server SMTP: your SMTP host name. If you don’t know it, have a look at our list of the major ones. It’s important to remember, anyway, that if you are setting up a bulk email campaign and need to send out a certain amount of newsletters with Incredimail, you should definitely opt for a professional SMTP service that will ensure the highest delivery rate. Port: the default port is 25, but you can set another one according to the connection you chose. 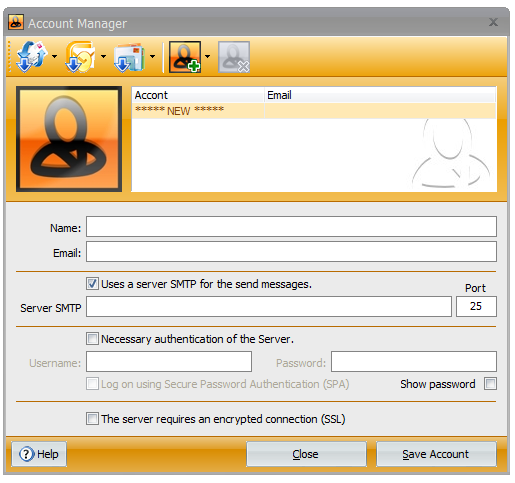 Necessary authentication of the Server: flag it and enter username and password if you want to send authenticathed emails. The server requires an encrypted connection (SSL): flag it if you want to send encrypted emails as a security measure. 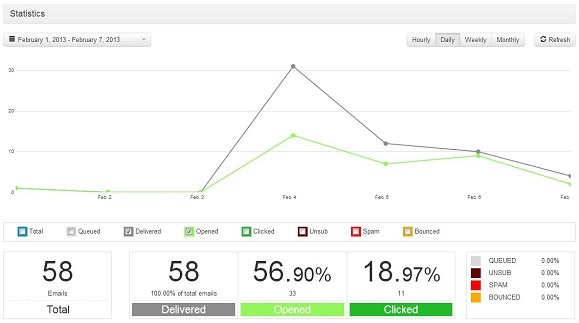 Now you can start send emails with Mailing List Studio!